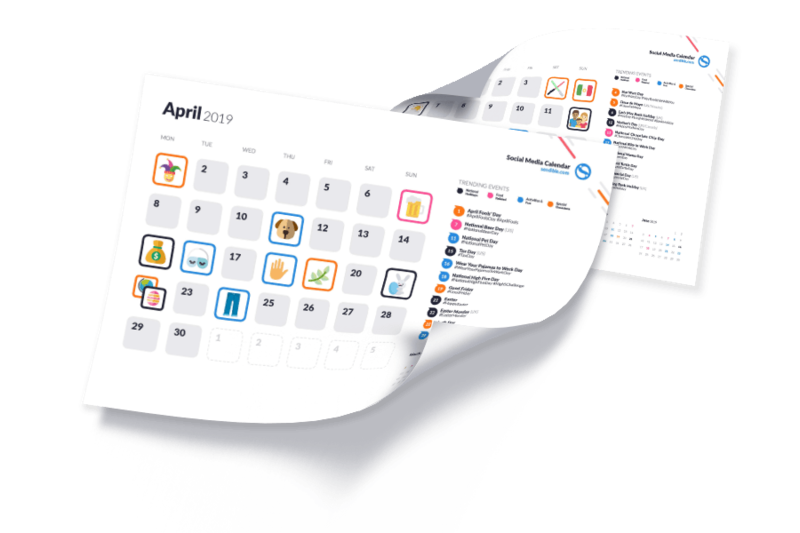 Managing a content calendar is not easy, so we have created a resource to help you remember to plan around trending dates to boost your engagement on social media. Our 2019 Social Media Calendar is a free PDF with over 100 trending dates, from national holidays to events like National Cat Day - January through December. There are rewards to be gained from creating engaging content for trending events on social media, hence why we created the third edition of our calendar. So, what's included in the 2019 Social Media Calendar?